Hany Abu-Assad's Omar (2013) [site]—shortlisted for the foreign language category at the Academy Awards®—and Yuval Adler's Bethlehem (2013) [site]—Israel's official submission—are, essentially, bookend collaborationist narratives situated on either side of the Separation Wall, with forays back and forth to complicate matters. Both films excel at drawing attention to the increasingly commonplace practice of Israeli secret agents manipulating Palestinians into collaboration. 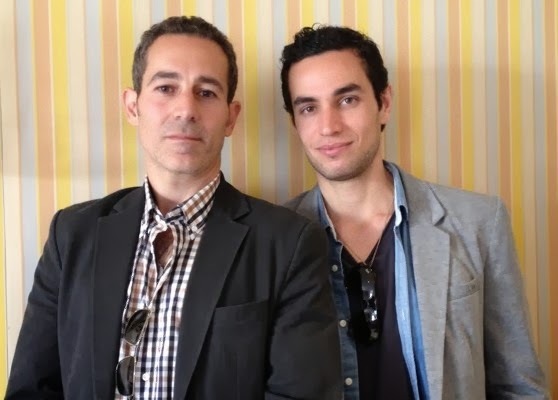 It's interesting to note that both Israeli agents—Waleed Zuaiter as Agent Rami in Omar, and Tsahi Halevi as Agent Razi in Bethlehem—are depicted as seductive, handsome, irresistible men, a new kind of sleek evil in authoritative garb in service to the nation-state; whereas, the manipulated Palestinians are depicted as emotionally troubled and fractioned in the Israeli film, but heroic, lithe and crafty in the Palestinian film. Both narratives, however, soberly demonstrate the damage caused to both sides by collaborationist tactics. Bethlehem plays its political angles by the numbers yet offers insight into how feuding Palestinian factions have complicated the peacekeeping mission. A raid by Israeli soldiers into Palestinian Bethlehem makes for a particularly exciting sequence, brilliantly choreographed, where a riot all but foils an assassination plot. For my money, however, Omar is the more interesting film for skillfully conflating its political agendas into a poignant love story where suspense mounts not from expected political tensions, but from the suspected betrayals of loved ones. Is the central romance between Omar and his beloved Nadja (Leem Lubani) traitorous? Up to its final explosive scene, the audience is never quite sure. Newcomer Adam Bakri is stunning in the titular role, with a character arc that leaps from charmingly defiant—scaling up and over the Separation Wall by rope—to a deeply wounded man devastated by fate and betrayed into believing the unbelievable. Both films are highly recommended; but, it's clear to me why Omar is among the final five, already winner of a Special Jury Prize at Un Certain Regard, Cannes Film Festival (where the film received a standing ovation). At Fandor's Keyframe Daily, David Hudson has crafted a critical aggregate of reviews from last Fall's New York Film Festival screening. What follows is a conversation cobbled from the film's Q&A at the 2014 edition of the Palm Springs International Film Festival (PSIFF) and sit-down conversations with both actors in the festival's press lounge. All photos courtesy of Adopt Films, except where noted. Michael Guillén: I'm aware writer-director Hany Abu-Assad was unable to attend PSIFF because he's attending the premiere of Omar in Tel Aviv, but can you speak for him as to the origins of this project? Waleed Zuaiter: Basically, it was inspired by true events and the story of someone who Hany became friends with who had a secret: that Israeli authorities had pressured him into being a collaborator. Hany had also read in Israeli newspapers accounts of a collaborator killing an Israeli officer with the same weapon he was given to protect himself from his own neighborhood. Although that murder didn't happen in the exact same way as the film, Hany felt that dramatically it would play better if it happened at the same moment the collaborator was handed the gun. So Hany already knew the ending when he started to write the script. He wrote the structure for the movie in four hours. Four days later he wrote the whole script. Guillén: I was struck by the footage of Omar scaling the Separation Wall. Were there any difficulties with authorities filming on either side of the wall? Zuaiter: Luckily, we didn't have any problems with authorities on both sides. We were able to get permits easily. Hany joked about it because he had all kinds of problems filming Paradise Now (2005)—one of the crew members was kidnapped—it was just crazy and ugly; but with Omar, we had no issues. The only issues we faced were ones common to independent filmmaking: securing the funds, getting the right locations, etc. We had all of those problems on a daily basis. Guillén: Is there really a rope to scale over the wall? Zuaiter: Yeah. This is something I learned: there are actually people that make a living by helping people to scale the wall. They're in different places along the Separation Wall. Guillén: Help me understand this, Omar scales the wall from the West Bank into Palestine, right? Why is there a wall between the West Bank and Palestine? Zuaiter: That's a question we often get asked at Q&As. We purposely didn't put any titles saying where you were in the movie. That was a way to make the story as accessible as possible to a universal audience: this could happen anywhere. But the reality is that the Separation Wall in many cases separates Palestinian villages within its own village. Someone who was once your neighbor, who you could walk to them, you now have to travel to get to them. It's prevented people from getting to their jobs or to family members. What it did for us was to open up a discussion where we can discuss this topic in a forum like this. Guillén: It's my understanding,Waleed, that along with starring in the film, you were also one of the film's producers? Can you speak to casting, particularly Adam Bakri's breakout performance as Omar? Zuaiter: I'll let Adam speak to his own background, but he was such a true find. He's a brilliant actor. We had a very long casting process of about four months and Hany was extremely picky about who he wanted in the cast. For almost everyone in the cast, this was their first true acting job. I'm the only experienced actor in the cast with other credits. Leem Lubani, who plays Omar's girlfriend Nadja, was 16 years old when we filmed the movie. She's 17 now and studying to be an actress. Samer Bisharat, who plays Amjad, has done a couple of short films. The actor who plays Tarek, Iyad Hoorani, does a lot of theater in Ramallah in the West Bank. Guillén: So, Adam, what can you tell me about yourself? Adam Bakri: I was born in Israel and raised in the north but traveled back and forth between Israel and the States. I studied at Tel Aviv University with a double major in English literature and theater arts. Right after I moved to New York, I trained at the Lee Strasberg Theatre and Film Institute for two years, and a week after my graduation I flew back to Israel to shoot Omar. Guillén: So your career is nearly anomalous for being immediately on fast track. For your first starring role you're in a well-scripted, international favorite and will be, no doubt, attending the Academy Awards®, straight out of the gate. Did you ever anticipate your dreams would be achieved so quickly? Bakri: I remember dreaming that Hany would write a story just for me, a character for me, and my dream came true. I hadn't met him but I knew his work. Guillén: You confirm the value of dreaming in detail. What impressed me with your performance as the script was written was that Omar had the most pronounced character arc. In the beginning you're almost mirthfully defiant and of course narrative circumstances lead you to a tragic betrayal. Can you talk a bit about how you worked with Hany to develop that character arc? Bakri: Before shooting, Hany and I worked on the script together. I had probably a million questions for him about every little detail in the script. But on the set he gave me total freedom to do what I needed. Of course, it was collaborative between me and him, and after every scene we would share a look to confirm that we were getting what we were aiming for. On my own, I connected with the material. I felt I knew what my character was feeling and what was important for me was to authentically convey to the audience his inner conflict. His was a tragic story. Throughout the movie he doesn't talk a lot and this conflict is all in his head. 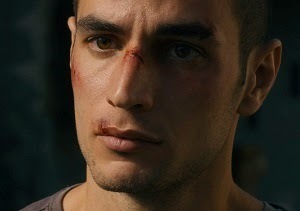 When I read the script, Omar reminded me of Ryan Gosling's character in Nicolas Winding Refn's Drive (2011). I saw a lot of connections. For me it was important to have the audience read Omar's mind; to read how conflicted he was. Guillén: Let's discuss the craft of that. You're absolutely right. Omar's internal conflict telegraphs through his eyes and facial expressions. The scene where he is ultimately betrayed and his eyes well up with tears was painful to watch. How do you do that? Do you practice in front of a mirror? Bakri: [Laughs] No. Like I said, the role came to me right after graduating from school. I'd been training for five years, but only in classes, working with a partner, but primarily with myself and the imaginary world. What we did in theater, at least specifically at Lee Strasberg's, is we worked with our inner lives, our past experiences. Only you know what's going on inside you. Getting the role of Omar meant I could put my years of training into practice fresh out of school. I needed it because, towards the end of my training, I was dying to get out of that school and into something professional. So when Hany cast me the role, I thought, "Now I'm going to put everything I've learned into this kid." That's what I hope came across. Guillén: You needn't have any doubts about the strength and success of your performance. How did both of you research for your roles? Did you talk to or interview the real-life individuals on whom the story is based? 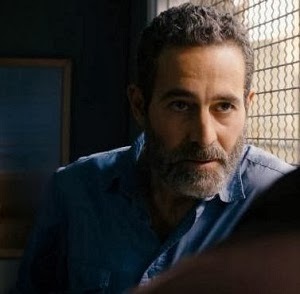 Zuaiter: For my character as the Israeli agent Rami, we tried to speak to the Shabak or Shin Bet, but that wasn't allowed for obvious security purposes. I did get to speak to a lot of crew members in the cast who had been interrogated by Israeli authorities and got a lot of information from them. I also got to talk to several Israelis who knew people like Rami. Even our production manager was telling me about the mannerisms of Israeli agents and such. The rest I worked from the script with Hany to find the essence of this guy. We visited some refugee camps and filmed a lot in the refugee camp al-Fari'ah. We went to an Israeli jail as well. I know that Leem and Adam spent some time in a refugee camp during pre-production when we were in rehearsal. We got to speak to a lot of people there. Iyad, who plays Tarek, actually lives in the West Bank and a lot of this story was very close to his heart because he's actually tried to scale the wall. Bakri: It was important for me to go to a refugee camp and at least stay there for a couple of days. Coming straight from New York, I couldn't even compare it. I didn't really talk to anyone because we didn't have access to collaborators; but, Hany based the whole movie on different events that really happened. He put it all into the character of Omar but it came from different characters. My connection to the character of Omar was completely artistic. I wasn't motivated by a political agenda or whatever. Guillén: Did you do all your own stunts? Bakri: I ran a lot and I jumped a lot, but I had a stunt double as well. I did a lot of training for it, about a month and a half of running and working out. I was ready. Guillén: Has the film received any political feedback from either side, Israeli or Palestinian? 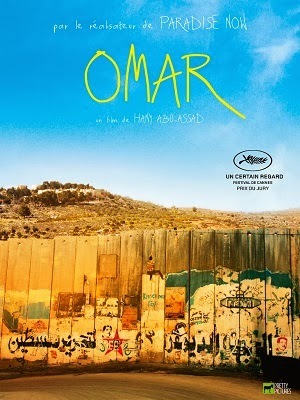 Zuaiter: Omar premiered in Ramallah in September. Palestinians loved the movie. It's a subject close to their hearts. It's a common story that they've seen. They feel Omar accurately represents the true circumstances there. Hany told me that—at a recent screening in Jerusalem just a couple of days ago—people applauded after the movie and, during the Q&A, an Israeli Jew was saying that Omar was such an amazing story and very true to life and then other people in the audience started shouting at the person who was complimenting the movie. It's a sensitive topic. It's close to a lot of people's own personal experiences; but, there's obviously another perspective. We're getting mostly positive response from the movie. Guillén: Waleed, I was delighted to discover that you're appearing in several episodes of the sci-fi television drama Revolution. What about you, Adam? What does your agent have lined up for you? Bakri: She wants me to stay here in the United States but I'm actually doing something back in the Mideast. It's an offer I can't really talk too much about, but it's a historical TV series. Guillén: Whether here or there, you are off to a running start. I want to congratulate both of you and wish you the best with the film. Thank you so much for taking the time to talk with me this afternoon. Situated in the True Stories sidebar at the 25th edition of the Palm Springs International Film Festival (PSIFF), Jehane Noujaim's Al Midan (The Square, 2013) chronicles the communal conscription of space for political assembly and energizes historical events with intimate reportage. As boasted on the film's theatrical poster and recited in PSIFF's program capsule: "The people demand the downfall of the regime! This slogan echoed throughout Cairo's Tahrir Square during the revolutionary fervor of the Arab Spring that gripped Egypt and enthralled the world. But who were the people shouting the slogan, what drew them to 'The Square,' and—given the convoluted events that followed—what did it all mean, anyway? "These questions are addressed in the most cinematic way possible in Jehane Noujaim's revelatory documentary. From Mubarak's fall to the removal from power of Mohamed Morsi, The Square focuses mainly on the lives of three charismatic activists. No mere chronological recitation of events, The Square provides all the elements of a great movie: compelling, complex characters; a propulsive and unpredictable plot; a succession of eye-popping images; and, most important, an emotional core that connects with our own inner lives and gives the movie its universal appeal." 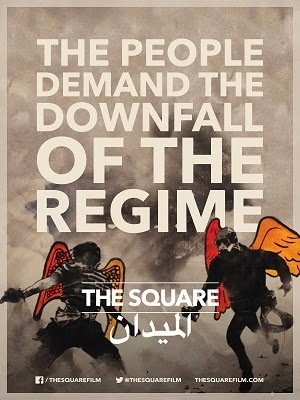 As confirmed by Stephen Holden at The New York Times: "[The Square] puts you in the center of the action to the extent that the protesters' passion is so contagious, it seems to leap off the screen and into your heart." The Egyptian Revolution has been an ongoing rollercoaster over the past two and a half years. From the 2011 overthrow of a 30-year dictator Hosni Mubarak, through military rule, and culminating with the forced military removal of the Muslim Brotherhood president Mohamed Morsi in the summer of 2013, The Square follows a group of Egyptian activists as they battle leaders and regimes, and risk their lives to build a new society of conscience. As immersive as the 2011 documentary Tahrir 2011: The Good, the Bad, and the Politician might have been in its cinematic aesthetics, The Square proceeds beyond where that documentary concludes to provide an unfolding historical context and a much-needed human face to these remarkable events. 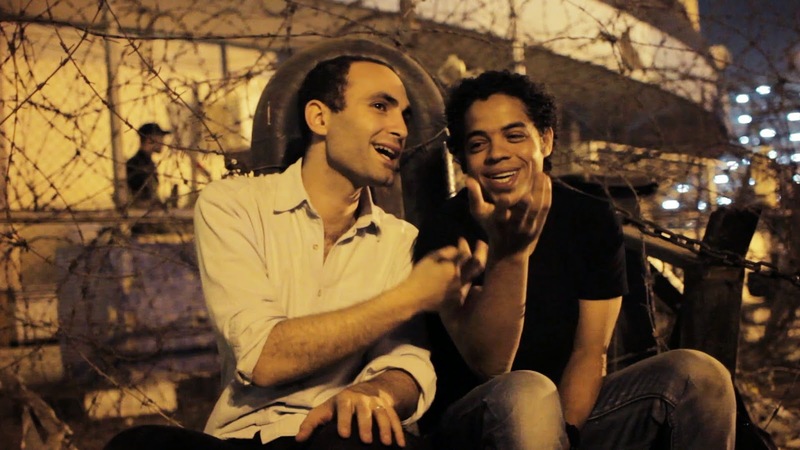 As Steven Erickson phrased it for Fandor's Keyframe: "Several early documentaries about the Arab Spring were hampered by a triumphant tone that now seems premature and short-sighted. The Square, which follows Egyptian protests over the course of two years, takes the opposite tack. Profiling a group of activists from varying ideological backgrounds, it shows a maddening situation in which a permanent revolution has become necessary." The Square had its World Premiere at the 2013 Sundance Film Festival where it won the Audience Award for World Cinema, Documentary. Due to the ongoing nature of the Egyptian Revolution, Noujaim updated the ending of the film over the summer of 2013. The film subsequently won the People's Choice Award for Documentary at the 2013 Toronto Film Festival, becoming the first film to win the Audience Award at both festivals. 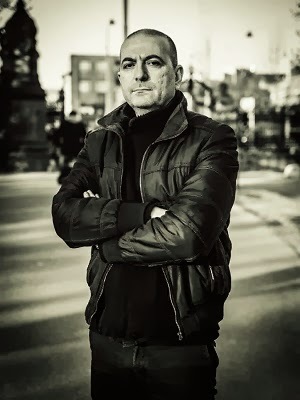 Dave Hudson rounded up the critical response, first from its Sundance win, then from its appearance at the New York Film Festival, and then at the International Documentary Association Awards, where The Square won Best Feature. More reviews can be found at the film's website. Most recently, The Square has made the Academy Awards® short list for Best Documentary Feature. It's also the first film to be picked up for distribution by Netflix. 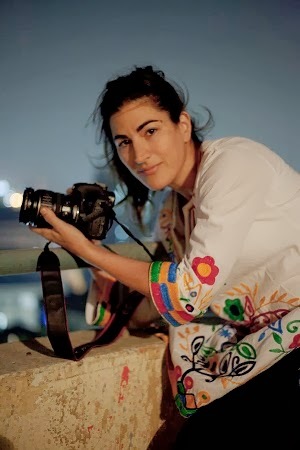 Egyptian-American filmmaker Jehane Noujaim has worked on various documentaries in both the Middle East and the United States. Before graduating from Harvard, she was awarded the Gardiner Fellowship for Mokattam, an Arabic film she directed about a garbage-collecting village near Cairo, Egypt. Jehane then joined the MTV News and Documentary Division as a segment producer for the documentary series Unfiltered. She soon left her position at MTV to produce and direct the feature documentary, Startup.Com (2001), which won the DGA and IDA awards for best director. Jehane continued to work on numerous documentaries as a cinematographer including: Down From the Mountain (2000), Only the Strong Survive (2002), and Born Rich (2003), before directing Control Room in 2004. The film was met with critical acclaim and won Jehane the coveted TED Prize in 2006, previously awarded to Bono and President Clinton. Jehane has continued to work in the U.S. and in the Middle East on films as an executive producer for such films as Encounter Point (2006) and Budrus (2009). She has also co-directed Egypt: We Are Watching You, which premiered as one of the ten films in the Why Democracy Series focusing on contemporary democracy around the globe. In 2012, she co-directed Rafea: Solar Mama, an award-winning film about a Jordanian woman who travels to India with the dream of becoming a solar engineer. The Square is her fifth feature-length documentary. Karim Amer is an Egyptian-American entrepreneur, who was raised between Miami, Florida and Cairo, Egypt. 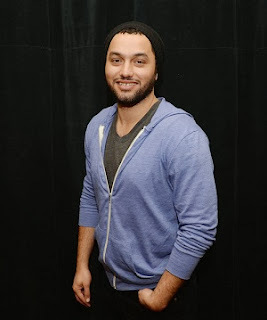 Karim graduated from New York University in 2005 with dual majors in Economics and Political Science and a minor in Entertainment Media and Technology. 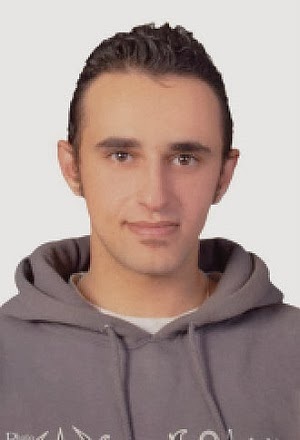 On January 28, 2011, Karim joined his fellow Egyptians in Tahrir Square to fight for democratic rights for his country. Karim quickly understood that his most valuable contribution to the revolution and the building of the country would be to create a platform for debate, discussion and the spreading of important ideas. In effect, Karim was focused on providing a space where the Tahrir square conversation could continue for generations to come—online and in the form of weekly debates. 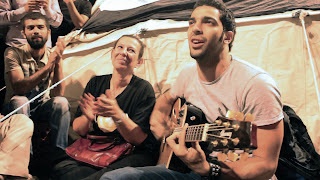 In order to do this, Amer created and co-founded two initiatives for Egypt: Gessoor, a nonpartisan group of concerned Egyptian citizens that offer a platform for productive political and socio-economic discourse by providing a variety of tools to Egyptian youth; and Dostour 2011(Constitution 2011), the first independent stage in Tahrir Square. Karim met Jehane Noujaim in Tahrir and agreed to assist her in making sure that a documentary chronicling the story of this incredible moment in history would be made to show the world the truth of the events that had unfolded. The Square will have a multiplatform release on January 17, 2014, opening theatrically in select cities—including the Roxie Cinema in San Francisco, California—and available for streaming to Netflix subscribers. The Roxie screening will be co-hosted by the International Socialist Organization and co-sponsored by the Arab Resource Organizing Center and the Arab Cultural & Community Center. After the film's 6:45 screening on Wednesday, January 22 , there will be a skyped Q&A with Mostafa Ali, a journalist for Ahram Online and member of Egypt's Revolutionary Socialists. Michael Guillén: Your beginnings and how you grew into this project? Jehane Noujaim: I grew up in Cairo. I grew up about ten minutes away from Tahrir Square. I was born to an American mother and an Egyptian father; they met in Boston. I went away to college but constantly came back to visit my family in Cairo. I made a film in 2007 called Egypt, We Are Watching You, which was about three women who were fighting for political change in Egypt. The film came out on BBC, but I'd been following what was going on with the protest for the last six years or so. At the end of 2010, Tunisia had exploded, a lot of Egyptians were saying, "If Tunisia could change their country, why can't we?" There was a young man named Khaled Saeed who you saw at the very beginning of the film who had been arrested and badly tortured by the police, and a Facebook page had been created that asserted that such abuse by police should not be happening because "we are all Khaled Saeed." Every year on the 25th of January, Egyptians celebrate Police Day. And the reason why people came in such vast numbers to Tahrir Square on January 25, 2011 was basically to say, "No! We will not be treated like this." I had a decision to make: whether to stay in Egypt (since I was there at this time) or accept an invitation to Davos, which I thought would be an interesting place to be because all the leaders of government, the top dignitaries of Egypt, were going to be there. I got there and, of course, nobody showed up because the streets of Cairo were exploding. I was completely in the wrong place at the wrong time and had to get back to Egypt as quickly as possible. I got on the first plane I could. I went through London and picked up the Canon cameras we used in the film because they didn't look like video cameras. All the camera equipment that looked like video cameras were being confiscated at the airport. I arrived at the airport and 20 minutes after landing was stopped by military at checkpoint. The car was searched by plainclothesmen—I wasn't sure who they were—and they found 10 copies of my previous film Egypt, We Are Watching You. Not the best title for a film being found by military intelligence as a country is exploding. So they took me in for questioning. I tried to destroy the DVD, but people who were cleaning the bath room found it, so I came clean. I said, "Look, I make films about people who I think are brave and doing things that should be shared with the world. 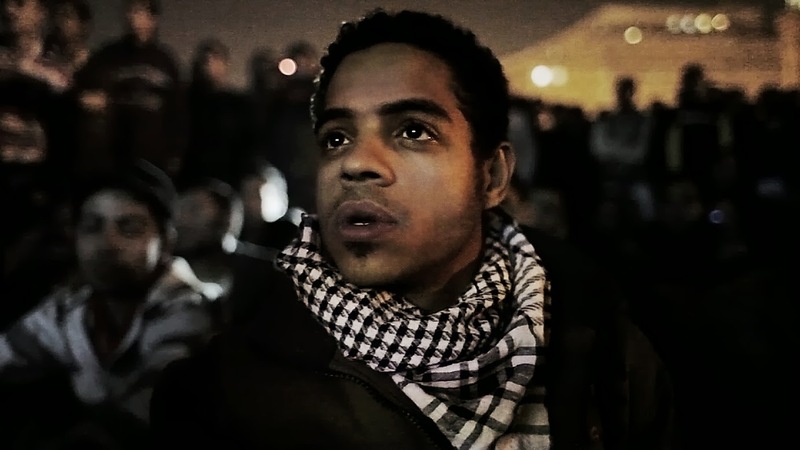 And I am about to go to Tahrir Square to make this film." Ultimately, they let me go. I went directly to the Square and there found this incredible, magical place where—for the first time—men and women, secular and religious, from all different classes, were speaking to each other. I had grown up in Egypt at a time when people would be afraid to speak about politics to each other. And now here they all were speaking to each other. I saw and wanted to share that beauty. So that's how I started. Then I met the entire crew in the Square, because everybody was there. All of the characters we met in the first 18 days before Mubarak stepped down. Karim Amer: I came down to the Square as a protester. Actually, a skeptical protester. I'm Egyptian American and I grew up between Cairo and Miami, Florida. Jehane and I had marched and protested in this country against the wars in Iraq and Afghanistan; but, I never really felt that our protests amounted to much impact. That made me skeptical of the protest in Egypt where we didn't have America's legacy of the 1960s. We didn't have the legacy that empowered the people. We didn't have these stories. We didn't have a Rosa Parks. We didn't have these moments that you could look up to. I thought, "If our protest didn't work in the U.S., how the hell would it have an impact in Egypt?" Thank God I was completely wrong! I went down to the Square like so many other people and saw all this magic. I saw this moment where—for the first time—people weren't scared anymore. They recognized this moment in history: "This is it!" The feeling was, "You either take me and my grandkids and my great grandkids because we're going to be stuck in this mess forever or we take a stand now and say, 'We're not going to compromise on our freedom. We're not going to compromise on our principles. We're going to make change.' "
As a protester, I met Jahane in the Square. I had set up an open mic stage. There was a Muslim Brotherhood stage and a left wing party stage and we set up the first nonpolitical stage. It ended up becoming a sort of poetry stage where a person could have five minutes to say whatever they wanted to the entire Square; kind of like a Hyde Park thing. Most people would read poetry. Jahane and her crew started filming from our stage. Then she started trying to follow me as a character, and I was like: "I don't want to be a character in your movie; but, I'll help you produce it." So that's how it started for me. Then I met the whole crew in the Square. Guillén: Can you speak a bit to how you assembled your cast of characters? One of the strengths of your film is that you use a handful of personalities to express evolving points of view, if dissimilar ideologies. How did you develop these character narratives over such a length of time? Noujaim: Well, the film gods were with us, which is why we met such incredible people. In the first 18 days, so quickly, it didn't take long to meet people and find them. But we really wanted these characters to be people that were using the Square. That was very important to us because we felt that we were hitting on the zeitgeist of the time. There are squares all around the world and people who have been using squares—as public spaces—as political tools for change. It's very simple actually choosing characters. They're people that you want to spend time with. People that challenge you, surprise you, that you would like to be close to, that you feel will take you on an interesting journey, that you're constantly curious about, that you wake up wanting to be with and wanting to film, because—if you're curious about their opinion and they're teaching you something—the thinking is that they'll probably be interesting to an audience. In terms of the individual characters, I first met Ahmed Hassan. 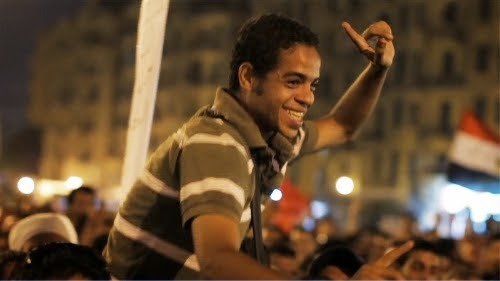 Ahmed was this joyful guy who was incredibly street smart. He had a wisdom about what was happening. Here was a guy who had grown up selling lemons, his mother was illiterate and sold vegetables, but he's also someone who attracts people. He would start to have a conversation in the Square and, after 5 minutes, 50 people will be around him listening to him and asking questions. We knew we wanted to follow him. I met Magdy Ashour because he was literally sleeping in the tent next door to our's and he was somebody who had been 25 years with the Muslim Brotherhood. I had never spent much time with somebody from the Brotherhood; but, he was so open to having conversations with people who had vastly different views than he did and we thought his would be a fascinating story to follow. 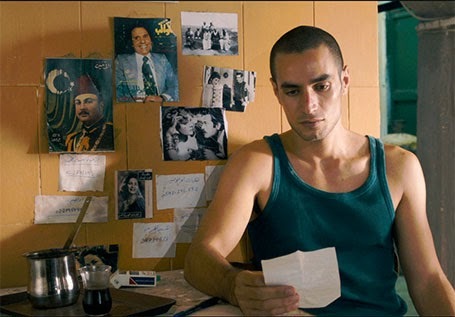 Khalid Abdalla was somebody who I met through Aida Elkashef. I knew Aida—the young girl with the red glasses—from my previous film and she introduced me to Khalid and Cressida Trew. Khalid was able to be incredibly articulate about what was happening during very confusing times. I think that's partly because his father and his grandfather had all been activists in Egypt. Both of them had been jailed. Ragia Omran is the human rights lawyer who we're making a film about separately. We wanted to have more of her in the film but most of her life has been spent in jails and prisons and police stations getting people out and, so, she wasn't present in the Square so much. But I've known her since kindergarten and she's gotten me out of prison three times. She's an amazing person. She was just awarded the Robert F. Kennedy Human Rights Award in Washington. She's one of these people for whom every last person counts. When I was arrested for the longest period of time, 3 days, she was there the entire time. Everybody got out. They let 300 people out but there were still two minors left. She sent messengers to find the parents of the minors to come to the prison. It was Thanksgiving 2011. My mother made a big Thanksgiving dinner, everyone came over, but Ragia stayed at the prison, refusing to leave and basically saying, "If I don't stay here and wait for the parents to come, these parents will come and be told by the police that their kids were setting fire to police cars and throwing Molotov cocktails, they'll be beaten up and never go down to the Square to protest again. If I wait for the parents and tell them what really happened, then they'll be kids who will be saved and know the right way." So for Ragia, every last person she cares about. Amer: In terms of where the characters are now, Ahmed has learned how to film. 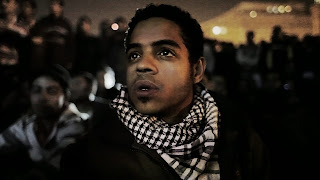 In Tahrir Square the camera was his weapon and he's now become quite talented in using it. He actually gets jobs in Egypt as a shooter on all kinds of ads. He's also filming with Khalid's alternative media collective providing constant updates on what's really happening on the ground. Magdy is in a very tough situation because he has five kids, is unemployed, has many health complications from even before the Revolution, and is now on the run because the government has made the Brotherhood illegal. He's become a pariah. We spoke with him last night. He's in a difficult situation but we're trying to help him get through it. The rest of the characters are still continuing. Egypt recently placed a kind of memorial in the Square but it was a complete farce of what these events were about so Ramy Essam, the singer, and a bunch of guys went down and painted it and read. They said, "This is a memorial made of blood and not made of anything else until you start putting the people who committed these crimes on trial." So now there's a warrant out for Ramy's arrest. He just wrote a song about it because he doesn't really care. That's how this movement has been taking place. We didn't pick the characters; they picked to be characters by their action. These were the people who continued coming back to the Square. Despite coming from completely different walks of life and backgrounds, economic levels and religious identities, what connects these characters is that all of them are unwilling to compromise on their principles. All of them have an understanding that what is happening in Egypt is not a transition period, it is a founding period. During a founding period you cannot compromise on your principles because every inch you fight for today will be worth miles in the future. It's the infrastructure of a new nation. That's what brings them all together. Especially Khalid, who doesn't have to be there. He's a successful Hollywood actor. He was in The Kite Runner and The Green Zone. He could be with us here; but, he's there because he realizes that—if people like him aren't involved; if people who don't need to be there aren't involved—then the change isn't going to get the kind of attention it deserves. It's not going to be as full-encompassing. Guillén (via Joe Loree): Did you use much acquired footage? Or was all this shot by you and your crew? Noujaim: All of it was shot by us, except for the footage you see of tanks running over protesters. That was cell phone footage. There were four of us shooting: myself, Cressida Trew—who was actually Khalid Abdalla's wife. She wanted to be a part of the film and we thought, "You can go home with Khalid and be in the bedroom while he's figuring out his problems with what's happening on the street." That's why we have such intimate footage of Khalid. Cressida was with him all the time. I'm not sure if—when Khalid agreed to be in the film—he agreed to his wife following him home with a camera; but, it was great for the film. Within the film, one of the main characters Ahmed is taught by our main director of photography Muhammad Hamdy how to use the camera. Most of the front line footage where you see guns shooting at you is Ahmed's footage. He continues to film today, though he had never used a camera before. Hamdy, who was the most experienced and a great director of photography, met us in the Square and said, "Your white balance is all wrong. Your shutter speeds are wrong. You don't know how to use these cameras. I need to teach you." So we sat in the tent and he taught us all how to use our cameras and he became our DP. Amer: Mind you, of course, that Jahane never takes credit herself. She actually shot the majority of the film. Some of the most intimate and emotional character moments are always her's. We need to give her props on that side. Including the fact that she was many times the only woman in the Square with a camera. It's very difficult to produce a film when your director doesn't understand the word fear or danger and gets arrested three times in the making of it. We filmed over 1600 hours of material. We have enough to make multiple mini-series; but, it wasn't just about that, the shooting wasn't just about making a film, sometimes we would literally be the only cameras in the Square. Why people were filming so passionately is because there was an alternative narrative that was being built outside the Square. Here you had this story that we all wanted to feel was the revolution: 18 days, the dictator's gone, we can all go home and everything's fantastic. But less than a month later, Ramy Essam, the singer of the revolution, is tortured in the Egyptian Museum and it's nowhere to be seen or heard. It's not on television. It's not reported anywhere. That's when we knew that there was a story within the Square that was very different from the reality being shown outside the Square. That's when we started this process of filming everything we could. Our materials have been used in court cases as people's evidence. We've been giving footage to all the media outlets so that, for example, in the film when you see the image of the body being dragged in the Square, that was shot by Cressida, uploaded by Khalid her husband, and then given out to all the main international news agencies. When that footage got played by the international news agencies, the Egyptian media had to play it and had to admit what was happening. That's been the way in which power has been held accountable and how this whole movement has taken place: one photo, one image, one post, one tweet, can fight back against whatever government force is trying to hide the truth. Guillén: For all practical effects, with Egypt being run by the military, how do you ever expect to screen The Square in Egypt? Noujaim: Pressure. Continued pressure. And more pressure. The Square has already received so much support abroad. If it is nominated, it will be the first Egyptian film ever nominated. Everybody in Egypt knows what the Oscar® is. I grew up with a video store down the street and the videos in that store were all Oscar®-nominated films. When we told Ahmed about the short list, he said, "This is incredible because our story is now going to be on an international stage and our narrative will not be able to be whitewashed and wiped away." There is the saying that history is written by the victors, and there is an attempt by the army to whitewash everything that has happened. Our argument to them is to continue to say, "All of this footage is up on line and what you don't see is the struggle that the Egyptian people have been through in order to get to where we are today. Any country around the world that has gone through similar change, it's crucial to be able to look back to evaluate the mistakes and successes you've had in order to move forward." That's what we're saying. As I say all of this, my own family keeps telling me there is no way we'll be able to show this film in Egypt; but, I do think we've made an incredible stride in continuing to push. As we speak, we are showing it to members who are writing the constitution. We're showing it to the Egyptian Consul on Foreign Relations on January 27. If all else fails, we'll be on blow-up screens on the streets of Egypt and USPs. Amer: The thing is that it's culture that's guiding the way in Egypt today, right? As long as we look at the revolution as the successes and failures of a political timeline of who wins an election or who loses an election, then we're only looking at one dimension of what this revolution really is. This revolution is not just about the ability to organize politically; that's one continuum. This revolution is about the shift of consciousness in culture and education, in gender lines, and in the role of religion in society. What cannot be stopped is art and the cultural space. If they try to block the truth, people will take photos and upload them. If they take the internet down, we'll draw on the walls. That's how the future of Egypt is being shaped by a new youth who are no longer willing to be stuck in that old story, whether it's the military or the Brotherhood or whatever other group will try to come and clamp down on freedom of expression. We're going to get the film out there and we have to believe in the unbelievable. That's what allowed this whole change to happen. Who would have thought a few protesters coming down to the street could get rid of a 30-year dictator? The concept of the national cinema and its symbiotic relationship with the programming of an international film festival is seamlessly administered in the 25th edition of the Palm Springs International Film Festival (PSIFF). Although this edition's national spotlight focuses on Canadian cinema, PSIFF continues to advance films from Spain, Mexico, Central America, and South America. 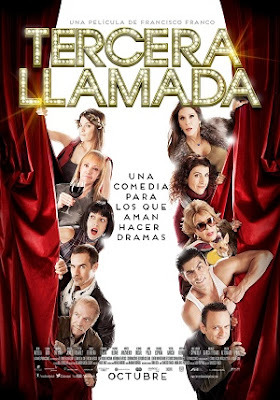 Incorporated into its various sidebars, this selection of 23 Spanish (and Portuguese)-language titles unofficially constitutes a spotlight of its own, representing films from eight countries: seven from Spain, six from Mexico, and the remainder from Argentina, Brazil, Chile, Colombia, Peru and Uruguay. What follows is a blend of PSIFF capsules and critical overview. Anina (dir. Alfredo Soderguit, Uruguay, 2013)—Soderguit based his animated film on a popular children's book by Sergio López Suárez, which he illustrated. He went against the current trend of slick, digital, 3D animation—instead employing a sweetly handcrafted, pencil-and-watercolor visual style. 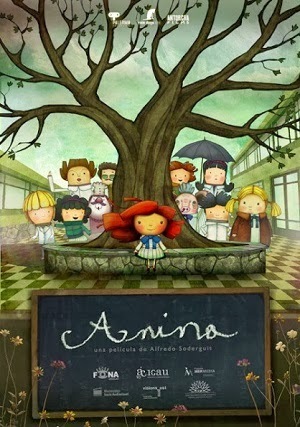 Audience award winner at the Buenos Aires International Festival of Independent Cinema (where it was described as having "the homemade flavor of a warm and happy afternoon tea on a rainy day," Anina was chosen as Uruguay's official Best Foreign Language Film submission for the 86th Academy Awards®. Official site. IMDb. Wikipedia. At Indiewire, Carlos Aguilar concurs that Anina is "a ray of light" coming directly from South America "to reignite the flame of traditional animation." He praises: "Few animated films can convey a classic tale with a message about family and friendship packed with intelligent humor … Soderguit's film is lively, witty, and full of heart […] Destined to become a classic." Costa de Morte / Coast of Death (Lois Patiño, Spain, 2013)—Winner of the Best Emerging Director at the Locarno Film Festival, Lois Patiño directed, shot and edited this debut feature, an experimental documentary billed by PSIFF as a gorgeous and magical film about the people, land and sea that make up this special place in the far northwest region of Galicia, Spain. Costa de Morte has already sold out both of its scheduled screenings. Official site. IMDb. 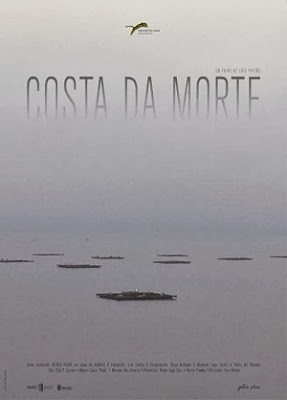 At Nonfics, Daniel Walber describes Costa da Morte as "a starkly beautiful documentary about nature's troubled relationship with mankind, set on the rough coast of Northeastern Spain. Director Lois Patiño transcends the typical fare of this genre with an inspired device that splits the audience's perspective between the landscape and its people." Walber observes that the "governing style of the film, present[s] the inhabitants of Galicia as tiny figures surrounded by the towering beauty of their environment" but that Patiño allows the audience to hear what these Galicians are saying, no matter how distant. "With this device," Walber concludes, "Patiño can play with the relationship between Galicia and the Galicians. …The people are in the landscape and the landscape is in the people, and Costa da Morte is a beautifully crafted exploration of this simultaneity. And while it enmeshes itself in the particular topography of Galicia, it's hard to imagine a place that wouldn't have some relationship with this same natural dialog." 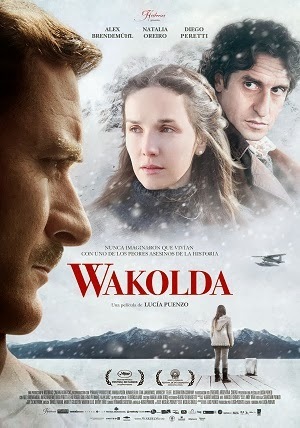 Wakolda / The German Doctor (Lucía Puenzo, Argentina, 2013)—Director Lucía Puenzo won a berth in the Un Certain Regard section of the Cannes Film Festival for this, her third film, which she adapted from her own speculative novel. 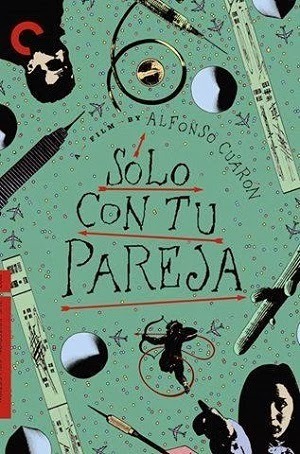 The film was selected as the Argentine entry for the Best Foreign Language Film at the 86th Academy Awards®. Àlex Brendemühl is quietly terrifying in the lead role as the infamous Nazi war criminal Joseph Mengele who takes a genetic interest in the undersized daughter of his innkeeper host. Cinematographer Nicolás Puenzo takes full advantage of evocative landscapes and the unique, Alpine character of the remote town of Bariloche. Official site. IMDb. Wikipedia. Facebook [Spanish]. Winner of nine awards from the Academy of Motion Picture Arts and Sciences of Argentina, including Best Director, The Hollywood Reporter's Deborah Young characterizes Wakolda as "a chilling, original tale" and "a creepy story with a lot of morbid fascination, set off by the captivating young Florencia Bado in her first screen role." At Screen International, Mark Adams notes: "Puenzo's fascination with the period and the Argentinean government opening its doors to many Nazi is evident as she impressively crafts an atmosphere of secrecy and mistrust in amongst the German-speaking community, some of whom clearly have deep, dark secrets." At Filmmaker, Chuck Tryon furthers: "Wakolda uses one family's experience to explore Argentina's complicated past, in which many families and communities were complicit with hiding Nazi war criminals like Mengele." Extended critical commentary has been gathered by David Hudson at Fandor's Keyframe Daily. Gloria (Sebastián Lelio, Chile, 2013)—Sebastián Lelio's Gloria is a touchingly detailed and intimate look at a divorced, middle-aged Chilean woman's quest to navigate the dating world and find romance. Lelio finds gentle humor in Gloria's awkward maneuvers in a mundane dance bar, and the story takes a sharp turn when she gets involved with Rodolfo, a wealthy older man. His affection helps her in the process of letting go of her grown-up children, who are becoming increasingly distant. But Rodolfo's unhealthy relationship with his own adult daughters becomes a burden on their budding relationship. Winner of multiple awards at the Berlin Film Festival, Gloria features an unforgettable performance by Paulina García, who conveys the strength and vulnerability of a woman who's not afraid to give of herself. It's a refreshingly raw and candid look into the heart of the kind of compelling character that's too often overlooked in mainstream films. 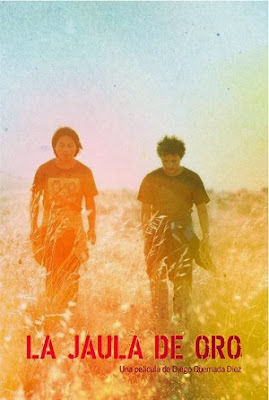 The film was selected as Chile's official Best Foreign Language Film submission for the 86th Academy Awards®. IMDb. Wikipedia. Facebook [Spanish]. At Variety, Jay Weissberg describes Gloria as "pitch perfect", "terrifically written", "perceptive" and "unerringly sympathetic." He offers two keen observations. He aligns the film's use of Tom Jobim's classic "Aguas de Marco (Waters of March)" with the film's essential rejection of sentimentalism. Just as "Aguas de Marco" descends in its rhythms to locate core emotions, it satisfyingly honors that promise. "Lelio's thoroughgoing understanding of music's function, how it consoles but most of all elides with mood," Weissberg asserts, "is matched by his sensitivity to Gloria's search." In further praise of the director, Weissberg writes: "Ever since his debut with The Sacred Family, Lelio has been exploring what he's referred to as 'family as a sacred trap,' and he remains just as concerned with this dynamic of obligation and restraint, and the individual's sense of self within that necessary constriction." David Rooney's bottom line at The Hollywood Reporter: "Funny, melancholy and ultimately uplifting, Sebastián Lelio's enormously satisfying spell inside the head and heart of a middle-aged woman never puts a foot wrong." At The Flickering Wall, Jorge Mourinha suggests: "Most modern Latin American cinema seems to carry within it the memory and seed of the region's political turmoil throughout the second half of the 20th century, waiting to be unleashed whether directly or metaphorically—and Gloria is produced by Pablo Larraín, whose own work as a director has been rooted in Chile's recent and tragic history." David Hudson has gathered much more at Fandor's Keyframe Daily. A Ras Del Cielo / Grazing the Sky (Horacio Alcalá, Spain, 2013)—Grazing the Sky takes a revealing look at the incredible physical exploits of circus acrobats, and finds compelling stories of men and women confronting adversity—including the real risk of severe, debilitating injury. The price of life in the limelight includes years of study and practice, an iron discipline, an ongoing commitment to learning new skills, and constant travel far from home. Director Horacio Alcalá follows eight different acrobats from all over the world, intercutting interviews with artfully staged footage of his subjects performing breathtaking feats with poise and grace. Alcalá—who has been involved with the circus arts for seven years, including with Cirque du Soleil—travelled to 11 different countries over the course of five years to capture these stories. He finds a new reality where aspiring circus performers can learn their craft in specialized schools rather than through family apprenticeships. The trapeze becomes a metaphor for life ambitions, given contrast and poignancy by the ever-present risk of a fall. Vimeo trailer. Official site. 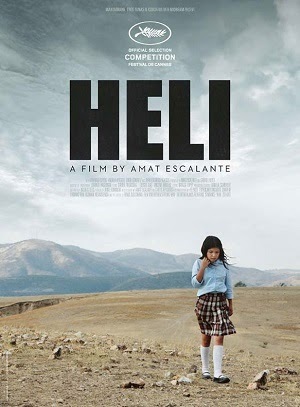 Heli (Amat Escalante, Mexico, 2013)—Amat Escalante, winner of the Best Director prize at the Cannes Film Festival, has hammered out a gripping, brutal film about a well-meaning, naïve, impoverished family visited by shocking, ugly violence; more collateral damage in the devastating drug trade. IMDb. Wikipedia. I defer to David Hudson's comprehensive aggregation of critical commentary at Fandor's Keyframe Daily. Also at Fandor, Anna Tatarska's interview with Escalante. Ignasi M. (Ventura Pons, Spain, 2013)—A window into the heart, mind and psyche of museum expert Ignasi Millet, Pons' documentary reveals a refreshingly fearless and thoughtful character and a bubbling source of wisdom, humor and self-acceptance with a clear-eyed and joyful approach to life. IMDb. La Jaula De Oro / The Gilded Cage aka The Golden Dream (Diego Quemada-Diéz, Mexico, 2013)—In his ambitious debut feature, director Quemada-Diéz brings a gritty, near-documentary realism and social conscience to a story about the excitement and horror young Central American migrants regularly face. Quemada-Diéz—a camera assistant to Ken Loach on films like Carla's Song and Land and Freedom—captures his characters' youthful sense of adventure as they pursue a dream that may not be all that it seems. The remarkable cast of untrained actors won a special prize in the Un Certain Regard section of the Cannes Film Festival. Official site. The Evening Class video of the Q&A session at the Morelia International Film Festival (FICM). Official site. IMDb. Wikipedia. David Hudson does the honors of gathering up the critical response for Fandor's Keyframe Daily. Tercera Llamada / Last Call (Mexico, Francisco Franco, 2013)—Winner of multiple prizes, including the audience award, at the Guadalajara International Film Festival, Last Call is the kind of character-driven comedy that recalls the early films of Almodóvar. Anchored by a captivating performance by Karina Gidi as the director of a Mexican theater company, the hilarious cast features a range of top-level Mexican actors, including rising star Irene Azuela (Miss Bala) and the legendary Silvia Pinal, who worked with Buñuel on classics like Viridiana and Exterminating Angel. Official site. IMDb. Facebook [Spanish]. At The Hollywood Reporter, Jonathan Holland's bottom line: "The performances are bigger than the movie itself in this sprightly, slick homage to the high-strung world of grease paint and pancake." 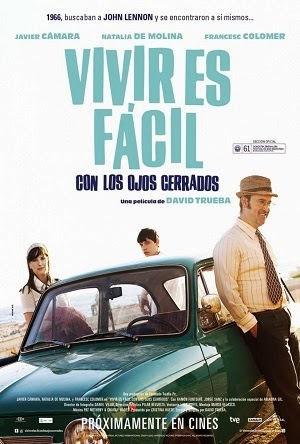 Vivir es fácil con los ojos cerrados / Living is easy with eyes closed (David Trueba, Spain, 2013)—"Living is easy with eyes closed," from Lennon's "Strawberry Fields Forever", evokes both the spirit of the '60s and the mood of this film, which is both a lively review of a sad past and a positive road movie set during a time in Spanish history when dreams seemed impossible. IMDb. "This small gem," Stephen Farber writes at The Hollywood Reporter, "offers a lovely evocation of Spain as well as a touching tribute to an unforgettable moment in time when the Beatles seemed to offer brand new possibilities, the idea that strawberry fields might indeed go on forever." At Screen Daily, Fionnuala Halligan adds: "David Trueba's film uses [John Lennon's] 1966 visit to Spain, when he shot a film in Almeria, considered leaving The Beatles, and started composing the song, as a backdrop to a tender, comedic, coming-of-age story which bristles with poignant references to the lingering effects of Spain's dictatorship." At The Guardian, Peter Bradshaw comments: "It is an era at once more innocent than the present—and yet much more guilty. Franco-era Spain emerges from the movie as a parochial, reactionary, bullying place where young people had their spirit crushed." Sólo Con Tu Pareja / Love in the Time of Hysteria (Alfonso Cuarón, Mexico, 1991)—A highlight of PSIFF's 1992 New Directors Showcase, this giddy bedroom farce was the first film by the director / writer who went on to make Y Tu Mama Tambien, Harry Potter and the Prisoner of Azkaban and this year's huge worldwide hit, Gravity. It returns to PSIFF as part of their 25th Anniversary sidebar. IMDb. Wikipedia. El Árbol Magnetico / The Magnetic Tree (Isabel Ayguavives, Spain, 2013)—Winner of awards at the Valdivia International Film Festival and Madridimagen, The Magnetic Tree is Isabel de Ayguavives' debut feature film after her success with a series of shorts that played at major festivals worldwide. She brings a heartfelt, personal touch to a film that captures the specific textures of family interactions, and she finds patterns of dialogue that reveal emotional subtexts even as they strain to avoid them. IMDb. "Lively and intimate," Jonathan Holland writes at The Hollywood Reporter, "it's a film made by someone whose interest in and compassion for her people is deep and forgiving." El Mudo / The Mute (Daniel Vega, Peru, 2013)—A standout of the Locarno Film Festival, where lead actor Fernando Bacilio was named Best Actor, The Mute takes a wise and humorous look at endemic corruption. Directors Daniel and Diego Vega employ a playful aesthetic, in which precise framing and deadpan editing heighten a wonderfully dry comedic sensibility. They show how a justice system that lacks perspective and compassion is as much out of balance as the rudderless society it attempts to regulate. Official site. IMDb. Wikipedia. At Fandor's Keyframe Daily, David Hudson has rounded up reviews for El Mudo from both the Locarno and Toronto film festivals. Purgatorio: Viaje al Corazon de la Frontera / Purgatorio (Rodrigo Reyes, Mexico, 2013)—In this fresh look at the harsh realities of the border between the USA and Mexico, director Rodrigo Reyes chooses not to editorialize; instead he gives a voice to the people who live in a kind of purgatory in the shadow of the fence. He talks to Mexicans who dream of crossing over and others who have lost all hope. He talks to an American pastor who leaves water for migrants in the desert, a Minuteman who works to stop them, and a coroner who's left to deal with often-unidentifiable bodies. Reyes and DP Justin Chin find a stark poetry in the physical form of the fence itself, and powerful images of its influence on nearby communities (principally in the vicinity of the Sonoran and Chihuahuan deserts). Official site. IMDb. At Variety, Andrew Barker writes: "A searing, horrifying, at times starkly beautiful documentary. Brilliantly photographed, this is a strikingly assured work [...] offering an impressionistic ground-level view of the simmering humanitarian crisis occurring just outside, and often within, American borders." At Slant, Oscar Moralde warns against the film's visceral brutality but offers: "The imagery that the film deploys is striking, especially in the way that it constructs la frontera as a postlapsarian space, where idyllic apolitical nature has been obliterated and replaced by a pulsing psychic wound. The borderlands are depicted as wastes in which both oppressive government authority and anarchic violence suffuse the landscape, and that perhaps the fears and anxieties that so energized the narratives of the western haven't disappeared, but simply crystallized and mutated along a dividing line." At Plume Noir, Fred Thom advises straight off: "One thing you should know before watching Rodrigo Reyes' documentary is that it isn't an objective work. Rather this is a meditative piece designed to make us experience the filmmaker's personal feelings about the Mexican border." 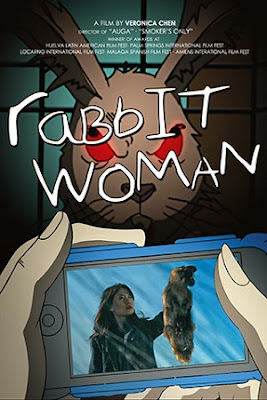 Mujer Conejo / Rabbit Woman (Verónica Chen, Argentina, 2013)—Award-winning director Verónica Chen boldly mixes animated sequences with live action, bringing an element of magical realism to this taut thriller. She gives her film a vivid sense of place, casting light onto the rarely seen Chinese subculture in Buenos Aires, and deftly weaves in a subplot about human trafficking. Newcomer Haien Qiu turns in a forceful, layered performance as Ana, a beautiful but tough civil servant who's disconnected from her heritage and paralyzed by ambivalence in her romantic relationship. Official site. IMDb. Flores Raras / Reaching for the Moon (Bruno Barreto, Brazil, 2013)—Winner of audience awards at the Outfest and Frameline film festivals, Reaching for the Moon is driven by commanding, intensely emotional performances from Miranda Otto and telenovela superstar Glória Pires, sensitive direction from acclaimed Brazilian director Bruno Barreto, and lovely photography of Rio's lush countryside. Official site. IMDb. Wikipedia. Facebook. Writes Guy Lodge at Variety: "The very private American poet Elizabeth Bishop was famously opposed to the confessional style favored by her peers: 'Art just isn't worth that much,' she once wrote to her friend Robert Lowell. It's not damning, then, to say she'd have been mortified by Bruno Barreto's intimate, affecting, somewhat lumpily paced biopic, which focuses chiefly on Bishop's 15-year lesbian relationship with headstrong Brazilian architect Lota de Macedo Soares. Boasting intelligent performances by Miranda Otto and Glória Pires as the chalk-and-cheese lovers, attractively mounted pic could please older upscale auds, while also working the more genteel end of the LGBT fest circuit." Deborah Young's bottom line for The Hollywood Reporter: "An exotic love story becomes an empowering portrait of two highly gifted women who defy social convention." 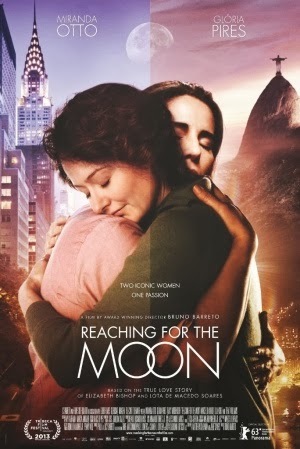 Conceding that the strength of Reaching For the Moon is in the strong—and very different—performances from Miranda Otto and Glória Pires, Mark Adams at Screen Daily nonetheless finds Reaching a "resolutely melodramatic film that feels engagingly old-fashioned as it revels in its lesbian love-triangle storyline." At Slant, Diego Costa pulls no punches: "Sociologist Gilberto Vasconcellos once wrote that Brazil is a country of illiterate folk where 'what isn't television has no cultural value.' One single network, Globo, monopolizes most of the country's TV programming and film production. The fact that Globo's idea of high quality involves blatantly imitating American TV and film's most familiar clichés might explain why so much of Brazilian cinema feels so soullessly glossy. This is true for Reaching for the Moon, which Globo co-produced. The mimicry of a Brazilian fantasy of what constitutes a perfectly crafted American movie, neutered of all experimentation, reduces Bishop's story to one-dimensional subject matter in the service of another project: appropriating the most orthodox way of making movies in the hopes of selling it back to the Americans as Oscar bait." 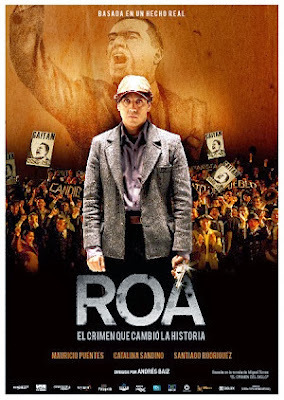 Roa (Andrés Baiz, Colombia, 2013)—This lovingly crafted period piece opened the most recent Cartagena Film Festival and PSIFF is hosting its U.S. premiere. It weaves a skillful tapestry of historical fact and creative speculation; the film's re-creation of 1940s Bogotà is both stylish and precise. Roa delves into one of the great unsolved mysteries of Colombian history—the assassination of populist leader Jorge Eliécer Gaitán in 1948. The film centers on Juan Roa Sierra, the presumptive murderer. Mauricio Puente, a virtual unknown, turns in a spectacularly layered and authentic performance in the challenging lead role, conveying the complex psychology behind his character's madness. IMDb. Facebook [Spanish]. Raíz / Root (Matías Rojas Valencia, Chile, 2013)—Premiering at the prestigious San Sebastián International Film Festival and going on to take a top award at Valdivia, Root is an assured debut feature from writer-director Matías Rojas Valencia that is boasting its North American premiere at PSIFF. 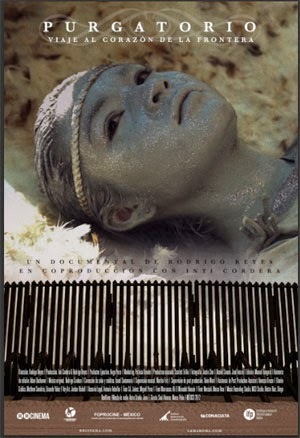 Valencia seamlessly incorporates documentary elements to give a human face to the problematic issue of Chile's impoverished indigenous people and draws impressive performances from actors and non-actors alike, achieving a powerful dramatic impact with a restrained style. Facebook [Spanish]. 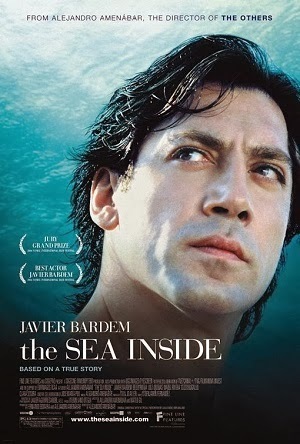 Mar adentro / The Sea Inside (Alejandro Amenábar, Spain, 2004)—Winner of PSIFF's 2005 Audience Award and that year's Oscar® for best Foreign Language Film, this gorgeously evocative tale of a man who fought a 30-year battle for his right to end his own life brought equal acclaim for its magnificent central performance by Javier Bardem. Featured in PSIFF's 25-year anniversary sidebar. IMDb. Wikipedia. Las Búsquedas / The Searches (José Luis Valle, Mexico, 2013)—The North American premiere of The Searches is the second feature from director José Luis Valle, whose debut Workers premiered at the 2013 Berlinale and won Best Mexican Feature at Guadalajara. For The Searches, Valle assembled a cast of top Mexican stars including Arcélia Ramirez, Gabino Rodríguez and Gustavo Sánchez Parra. With a lovely visual economy (and an economy of means—incredibly, the film was shot in a mere seven days with a four-person crew), Valle brings to the screen some of the most intriguing and touching scenes of any film this year. IMDb. 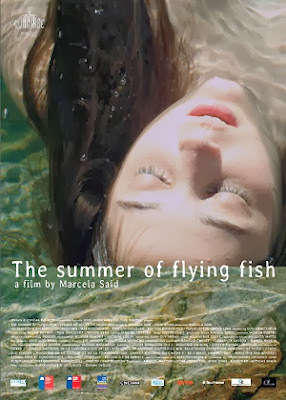 El Verano de los Peces Voladores / The Summer of Flying Fish (Marcela Said, Chile, 2013)—Director Marcela Said, already an accomplished documentarian, won a berth in the prestigious Directors’ Fortnight at Cannes for this, her first narrative feature. With bold, wide-angle compositions she eloquently conveys the relationship of her characters to the land. Her restrained script, co-written with Julio Rojas, conveys in subtext the subtleties of modern economic colonialism and the complicated relationship between the Mapuche and the wealthy white landowners—then builds to a chilling finale. Official site. IMDb. Wikipedia. At The Hollywood Reporter, Stephen Dalton—despite finding this drama "atmospheric"—criticizes: "The story is shot through with class and racial friction, but falls short of the angry social polemic or politically charged horror movie hinted at in its pressure-cooker mood and creepy backwoods setting. …After building up a powerful sense of creeping dread and imminent disaster, The Summer of Flying Fish never quite galvanizes itself into a concrete narrative. Instead it settles into a series of impressionistic tableaux, leaving viewers to infer rather too much from thinly sketched characters and obscure motivations. This is disappointing as Said and her cinematographer Inti Briones clearly share a strong visual eye and a subtle mastery of unsettling mood." Tatuagem / Tattoo (Hilton Lacerda, Brazil, 2013)—The Brazilian military dictatorship lasted more than 20 years, from 1964 to 1985, and withstood several waves of youthful rebellion, usually by cracking down hard on any cultural movement that threatened to get out of hand (in 1969, for example, singer-songwriters Gilberto Gil and Caetano Veloso were imprisoned and subsequently went into exile). By the mid 1970s it was possible for an anarchist theatre group to exist and put on subversive, gay, avant-garde cabaret shows, just so long as it stayed underground and criticism of the military remained implicit. …Hilton Lacerda's debut [in its North American premiere] is both a colorful time capsule and a potent drama that has earned comparisons to the work of Rainer Werner Fassbinder. 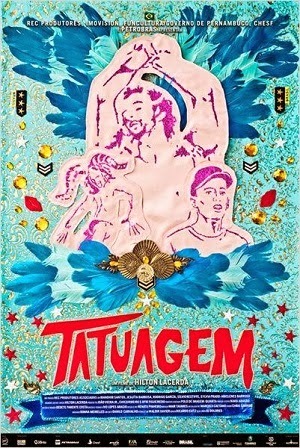 Winner of the FIPRESCI and Special Jury prizes at the Rio de Janeiro International Film Festival, along with Best Actor and Best Supporting Actor honors. Also winner of Best Film, Best Actor and Best Music at the Gramado Film Festival. Official site. IMDb. 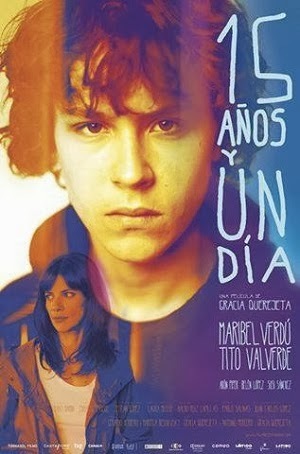 15 años y un día / 15 Years and One Day (Gracia Querejeta, Spain, 2013)—PSIFF hosts the U.S. premiere of Spain's official submission to the Foreign Language category of the Academy Awards®. Directed with great sensitivity, the film boasts a stellar cast including the always wonderful Maribel Verdú, and Arón Piper who gives a breakout performance in the lead role. 15 Years and One Day is dedicated to the director's father, the great film producer Elias Querejeta, who died last June. Official site. IMDb. Wikipedia.